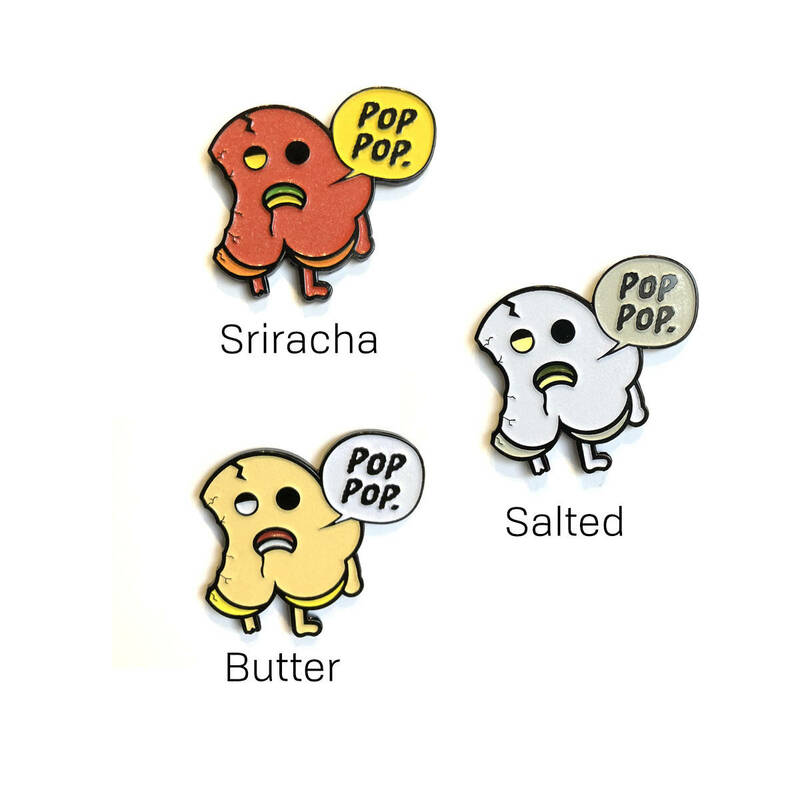 Home › Pins › Soft Enamel › Dead Pop Pop! Buy two and get the third for $5! Simply add three to your cart and every third Zombie will be $5 in your cart! Who doesn’t love Popcorn?! 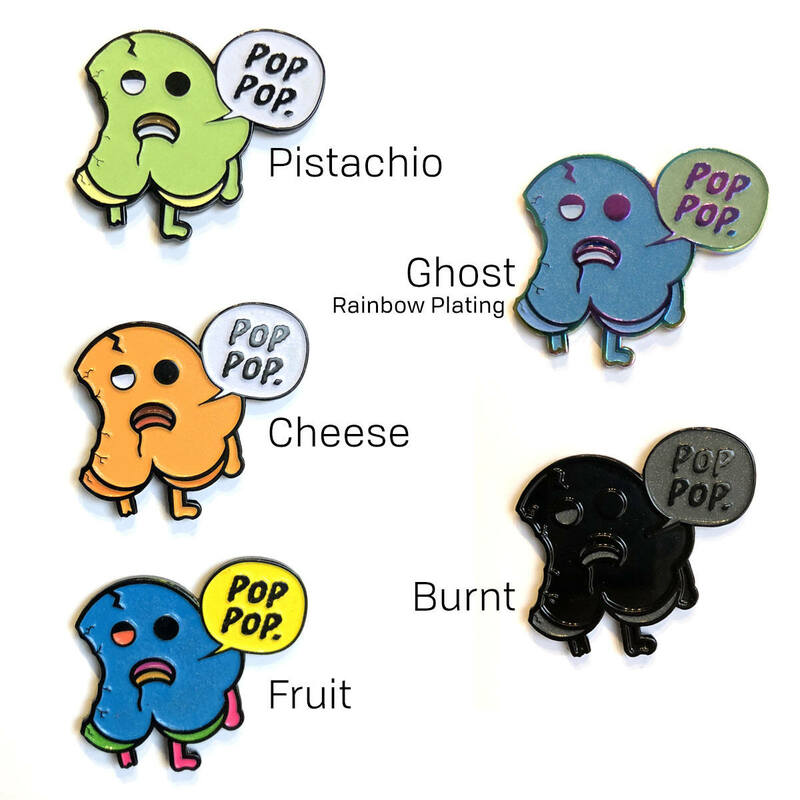 As a follow up to my first pin, a little friend named Pop Pop, I present Dead Pop Pop: Zombie Variants. Our friends are exclaiming their inner love for themselves, and the love for the flesh of their race. All variants are Limited Edition of 25. 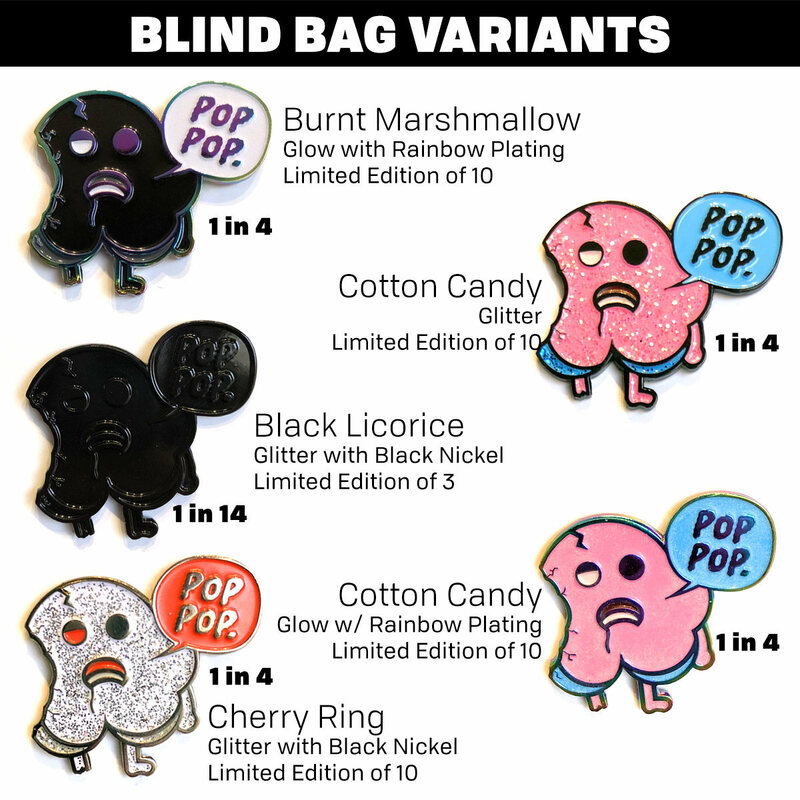 BLIND BAG variants are Limited Edition of 10, except Black Licorice which is Limited Edition of 3. 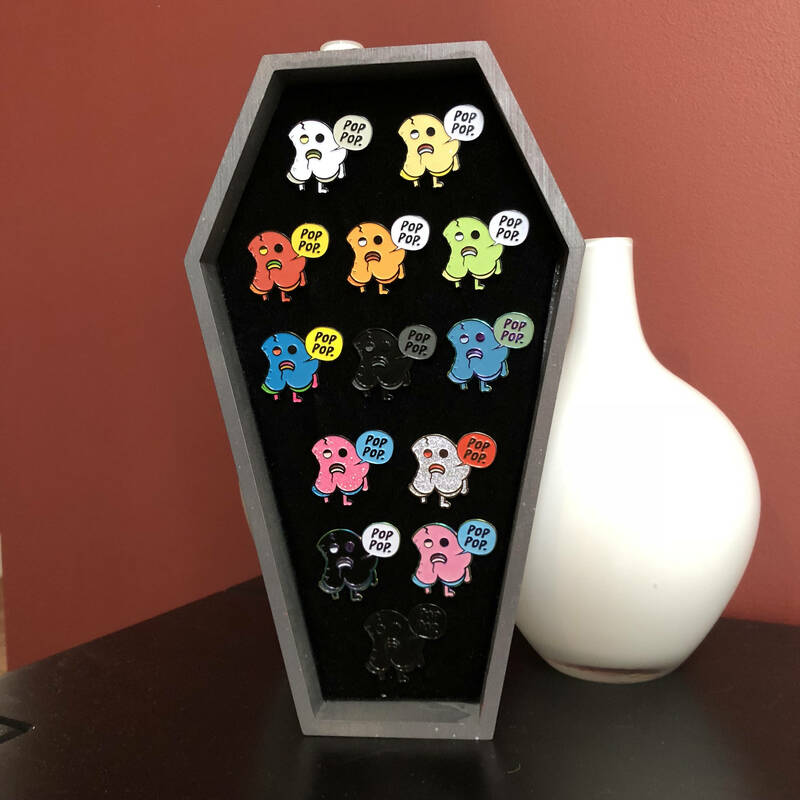 Blind Bag purchases of 4 or less will NOT have repeats. They are delivered to you in a opaque black bag. It’ll be like Christmas, but, you know, with Popcorn Zombies.